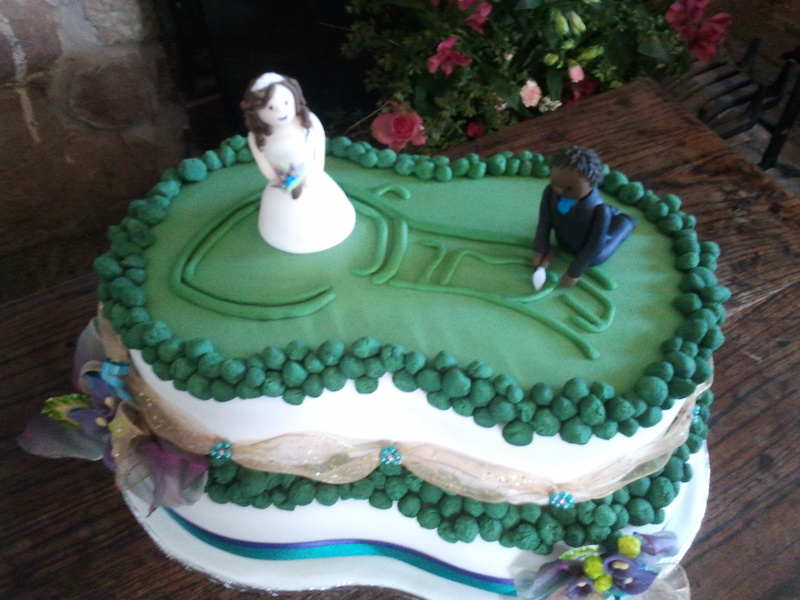 This is our wedding cake, which depicts Llanmelin hillfort in Wales (CA 277). I am currently a leader of the South East Wales Young Archaeologists’ Club, having joined the branch when it opened in 1995. I studied History at the University of Wales Newport, and archaeology and heritage with Leicester, while my husband Paul — also a leader of the club — loves history and old houses. We therefore hired Treowen House, a beautiful manor house which oozes history, for our wedding, and chose Llanmelin for our cake. This started out as a joke: while discussing what an archaeologist’s wedding might be like, I said a multivalliate hillfort would make a great cake — the banks could form the different tiers. I have also always wanted to excavate at Llanmelin, so I asked my friend Emily Ivens, of ‘Cakes in One Place’, Carmarthen, if she would make this for us. As per all my excavation photographs, I seem to be supervising.